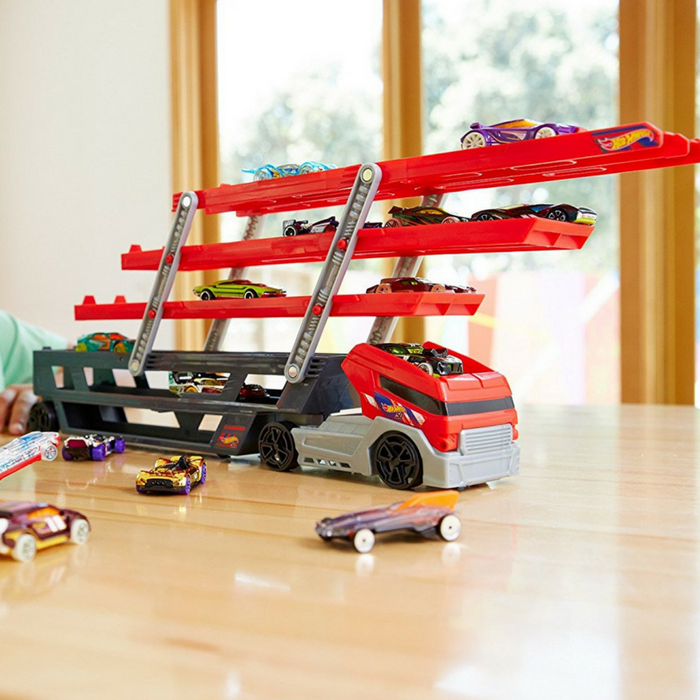 Hot Wheels Mega Hauler Just $10.79! Down From $15! You are here: Home / Great Deals / Amazon Deals / Hot Wheels Mega Hauler Just $10.79! Down From $15! Here’s a great toy deal for you at Amazon! Score Hot Wheels Mega Hauler for just $10.79 down from $14.99 PLUS FREE shipping with Amazon Prime or for orders over $25! A big hauler for even bigger adventures! New cars are arriving in the Hot Wheels Mega Hauler. This massive hauler can be loaded with more than 50 cars in its six expandable levels—and that’s just the beginning! There are even more great features that make this big hauler mega unique— connect to Hot Wheels orange track and roll your cars onto a side-by-side race!